The knife is an indispensable tool for the gaucho (Argentine cowboy), used both to work and to eat the huge cuts of meat from the 'pampas lands' they are so famous for. Long ago, most gauchos made their own knives by hand, and today a select group of artisans continue this art. Collectors and chefs from all over the world prize these creations. Funny, to this day it is not uncommon for an Argentine to bring his own knife to an asado, or barbecue. Working in hidden workshops and small family businesses, these Artesians turn an array of metals into beautiful knives, all done by hand. Artisane Knife crafters specialize in handmade knives aka Cuchillerias for collectors, chefs, and those who appreciate the very best in specialty-use cutting tools. On average a custom knife can take weeks to make. Crafters use a variety of metals and alloys, so their finished product will have the durability, strength, edge holding longevity, and last but not least, a beautiful finished piece of working art! Some knives have a Damascus blade, a technique developed over a thousand years ago where metals are heated, mixed/folded/welded, and hammered into hundreds of layers of metal to produce a distinctive pattern in the finished products blade. Carbon steel and stainless steel make outstanding knife blades, each being someones favorite! Regardless of the material used in the crafting or blade and knife handle, these specialty knives are made under strict quality control with techniques which have been passed down from generation to generation AND have passed the ultimate test, 'the test of time'. 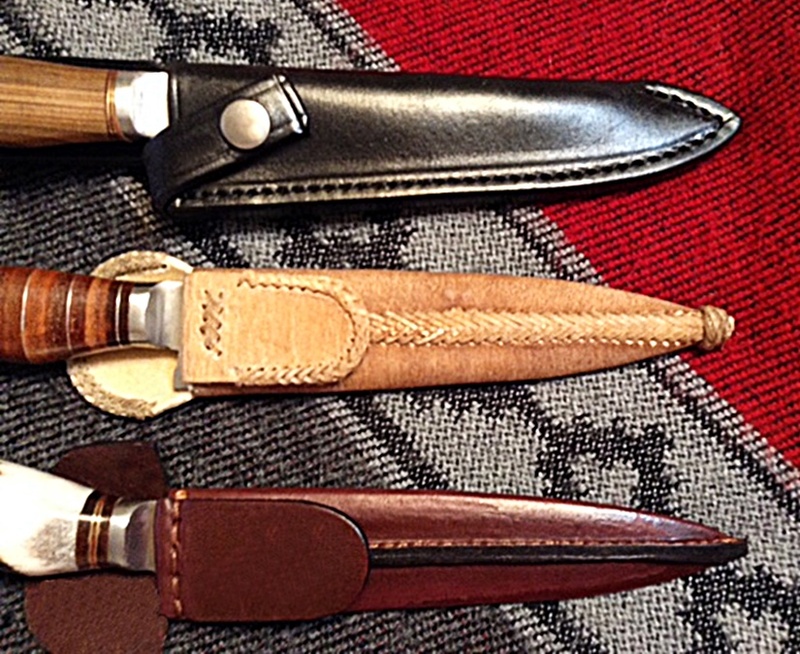 These age old, time honored traditions of crafting fine quality knives date back 100's of years!